Come Drink in the Beauty. 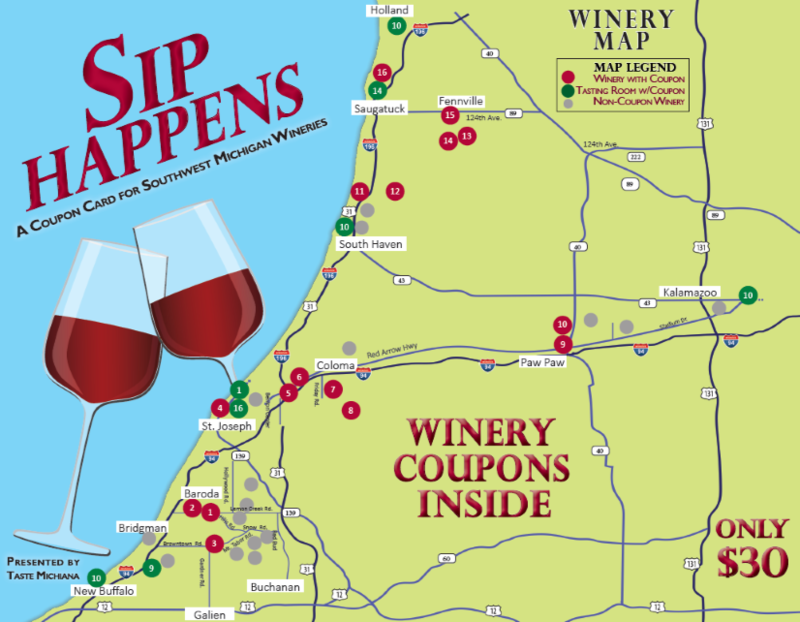 Discover the many wonderful, award-winning wines located right here in Southwest Michigan. See why so many call this region a “hidden gem” for wine. Give yourself—and maybe some friends, too—a fun and delicious gift of tasting some of Southwest Michigan’s finest wines in the “Napa Valley of the Midwest” with this phenomenal wine tasting coupon card. These wine-tasting cards are now on sale while supplies last. All cards expire October 31, 2019. Taste and see how great they are. Visit TasteMichiana.com for details and to order. You may also order your Sip Happens cards right here on this site on our shop page. Get discounts, golf updates and related news.